What is “Gastric Sleeve Surgery”? Gastric sleeve surgery is a type of weight loss surgery similar to the gastric bypass procedure with a few key differences. Also known as “sleeve gastrectomy”, the procedure is performed laparoscopically and usually requires one night in the hospital. 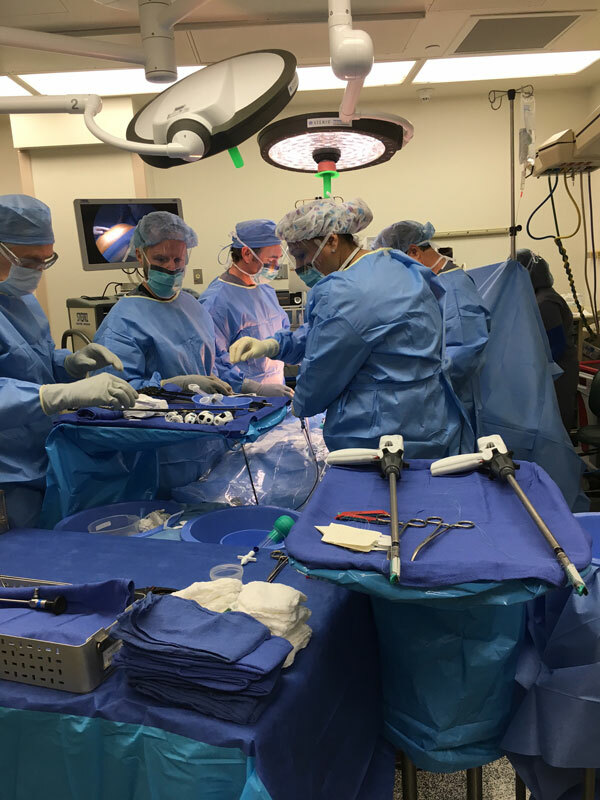 About 85-90% of the stomach is resected, changing the metabolic status of the patient resulting in a loss of about 70% of the extra body weight. Gastric Sleeve Surgery is One of the Fastest Growing Weight Loss Surgeries! From 2010 – 2015, gastric sleeve became one of the fastest growing bariatric surgery procedures available. You may be asking, why is this? The mai reason is because simply put, the surgery worked in helping patients achieve their weight loss goals not just for personal reasons, but for physical health-related reasons as well. Gastric sleeve surgery is considered an effective tool for weight loss, but the main benefit to highlight here is that the surgery often does not include any major complications post-procedure. May physically reduce your hunger. This will help you maintain the weight that is lost from the procedure, but it’s important to understand that reduction of hunger does not always occur in every patient. Does not require as much operating time as compared to gastric bypass. Does not require any re-rerouting of the intestines. No dumping syndrome experienced. Dumping syndrome is a condition that can develop after surgery to remove all or part of your stomach or after surgery to bypass your stomach to help you lose weight. Also called rapid gastric emptying, dumping syndrome occurs when food, especially sugar, moves from your stomach into your small bowel too quickly. No adjustments are needed. Other weight loss tools such as the Lap Band do require several doctor visits. However, gastric sleeve surgery will require follow-up appointments. No foreign objects left in the body. Weight loss typically occurs in most patients over a period of 18 months. The majority of weight loss occurs in the first year. Schedule a Gastric Sleeve Consultation Today! If you would like to learn the cost of gastric sleeve surgery in El Paso, TX or have any questions regarding the procedure, then we strongly urge you to schedule a 1-on-1 consultation with our weight loss surgeon, Dr. Benjamin Clapp. To schedule your consultation or to inquire about further information, please call our office @ (915) 351-6020 or contact us online here. Dr. Benjamin Clapp is an experienced weight loss surgeon in El Paso, Texas offering different types of procedures including gastric bypass and gastric sleeve surgery as a way to help patients reach their weight loss goals.